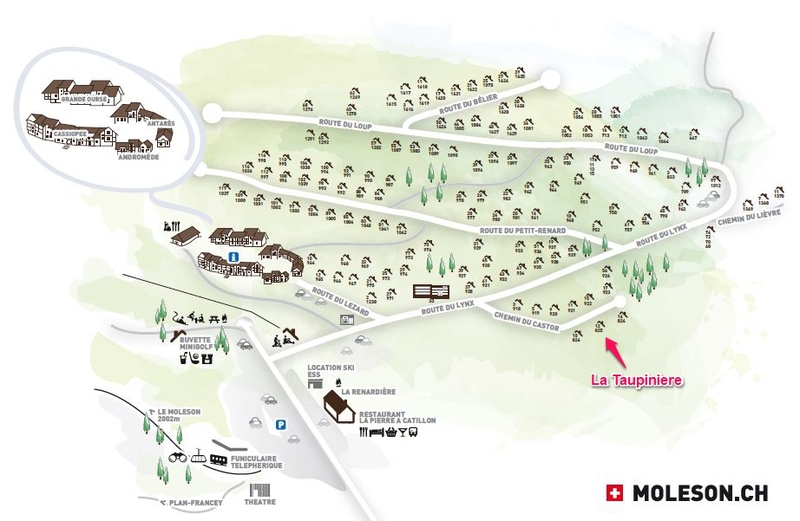 La Taupiniere’s location is ideal for visiting so many places in western Switzerland, and it also enjoys excellent road and rail access. Geneva Airport is the nearest international airport (120km) and is about an hour and twenty minutes away by car. From the UK Geneva is well served by many airlines including Easyjet and British European for cheap flights. Bern Airport is an hour away and Zurich Airport is about two and a half hours’ drive from La Taupiniere. Calais is 600 miles from the chalet and it takes about eight or nine hours to drive. From Vevey take the N12 north towards Bern and take the Bulle exit. Moléson is 10km from the motorway.